« Five Year Anniversary Celebration – Win In-Store and Online! We’re sorry to say that Autumn Roast coffee has been pulled by corporate this year, which is a shame because it’s one of our favorites too! 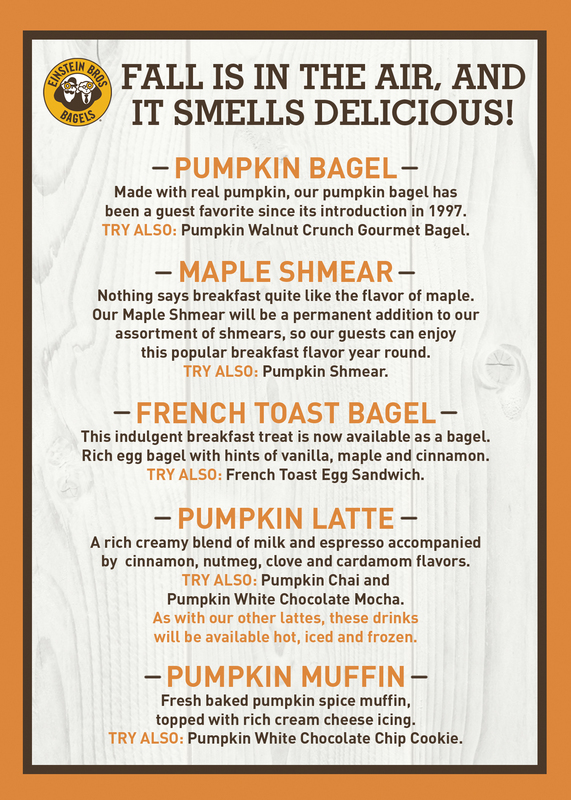 If you’d like voice your opinion to them, we invite you to call 1-800-BAGEL ME. Clueless Rep at 1-800-BAGELME had no idea. Referred me to ask at my local store. Guess what, I won’t be going to a local store until it’s available, perhaps next year. If it’s not, don’t expect me back ever, there’s just too many other choices. I’m so sorry for their ignorance. I have called corporate myself to voice your concerns. After some investigation, I learned Autumn Blend wasn’t a big seller across the country and they pulled it. I have been assured we will be carrying our Winter Blend. Also, Einstein Bros. is now co-branding with Caribou coffee and that has affected our coffee offerings. We are sorry that this has affected your desire to frequent our business. As a locally owned franchise we wish we had more control over offerings to better serve our customers. Please feel free to show this post to our manager on duty and receive one of our regular specialty coffees on us. We have great espresso beverages that our customers love. My favorite is a white chocolate mocha. We hope you give us a chance to win back your business.